The Rafael Manzano Prize for New Traditional Architecture is organised by INTBAU (the International Network for Traditional Building, Architecture & Urbanism), thanks to the support of the Richard H. Driehaus Charitable Lead Trust, through a contribution to the Chicago Community Trust for the Richard H. Driehaus Charitable Fund, with the collaboration of the Real Academia de Bellas Artes de San Fernando, the Fundação Serra Henriques and Hispania Nostra, and with the high patronage of His Excellency the President of the Portuguese Republic. The International Network for Traditional Building, Architecture & Urbanism (INTBAU) is an international educational charity which works under the Patronage of its founder HRH The Prince of Wales to promote traditional building, the maintenance of local character, and the creation of better places to live. The Richard H. Driehaus Charitable Lead Trust is a North American philanthropic entity founded by the businessman Richard H. Driehaus. It is dedicated to support, among other activities, those projects related to the promotion of classical and traditional building, architecture and urbanism and the conservation of heritage. The Richard H. Driehaus Charitable Lead Trust supports this Award, through a contribution to the Chicago Community Trust for the Richard H. Driehaus Charitable Fund. 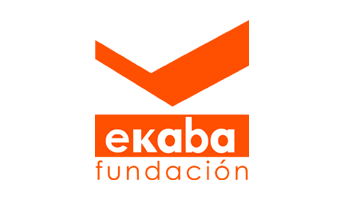 The Fundación EKABA (Kalam Foundation for the Fine Arts) is aimed to promote a better practice in conservation, restoration and rehabilitation of architectural heritage as well as to preserving and spreading the building and restoration arts and crafts. The Fundação Serra Henriques was established in Portugal in 1997 for the promotion of education, culture and science; paying special attention to the study of the national territory for local development and improvement of cultural heritage. Since 2015, it has represented the Association of European Cities and Regions for Culture in Portugal. In 2012 it established the National Prize for Architecture and Urbanism, Archiprix Portugal, in collaboration with the Archiprix Foundation (The Netherlands) as well as la Ordem dos Arquitectos in collaboration with all the Portuguese universities and their best end-of-degree projects in Architecture. The Real Academia de Bellas Artes de san Fernando is one of the eight Royal Academies of national scope integrated into the Institute of Spain that aims to promote artistic creativity, as well as the study, dissemination and protection of the arts and cultural heritage. Currently it is composed of fifty-six academics in total, among whom is Rafael Manzano Martos and other personalities of recognized prestige in the fields of architecture, painting, sculpture, music, film, graphic art, photography, design and history, and art theory. Hispania Nostra is an Association aimed to defend, safeguard and enhance the values of the Spanish Cultural Heritage and its environment. It is commited to seek the support of civil society in order to consolidate in a sustainable way the cultural and natural heritage as a value and resource which generates socioeconomic development. It does so incorporating technological innovation into the sector and promoting the development of new alliances and synergies between institutions, administrations and companies.